Animated films have become a bigger part of the cinematic world than they ever have been before. They regularly reap critical acclaim and have become some of the biggest earners at the box office. Animation is no longer a medium just for younger audiences, but the most universal storytelling medium around. As such, naming the best animated film released in any given year is a big deal. But as far as 2015 goes, there was one obvious winner. 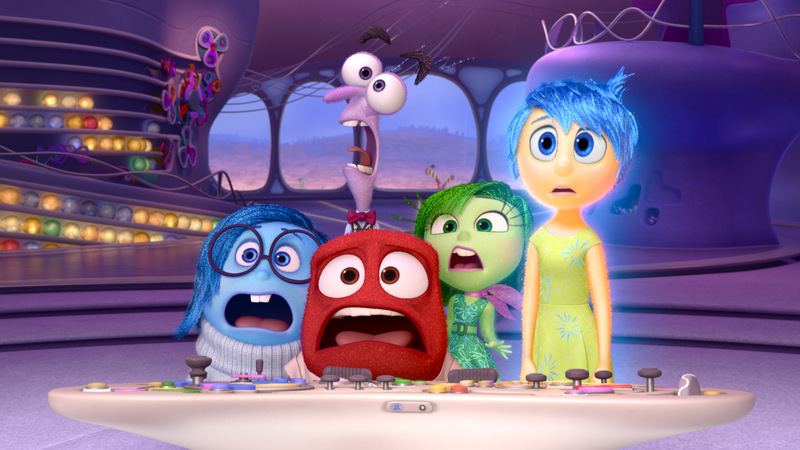 Inside Out is the deepest, most profound film that Pixar Animation Studios has ever made. The tale of the inner workings of the mind of a young girl, and the complexity of human emotion. It’s a smart, imaginative film on every level. It’s a thing of beauty both visually and in its depth of storytelling, with a story that’s more heartfelt and (appropriately) emotional than anything Pixar has made before. Inside Out is an animated film that takes full advantage of the medium to bring to life a concept that simply could never work in live-action. It’s also an important film that should be watched and studied by adults as well as children, as its messages are universal and profound. It rings true no matter your age. It’s not only the best animated film of the year, it’s one of the best animated films ever. That one was easy to decide, I assume.